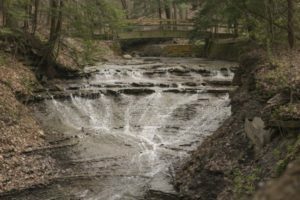 Akron army veteran and photographer Ben Miller celebrates the Summit County Metro Parks. Each photo represents steps he took to regain the use of his knee. 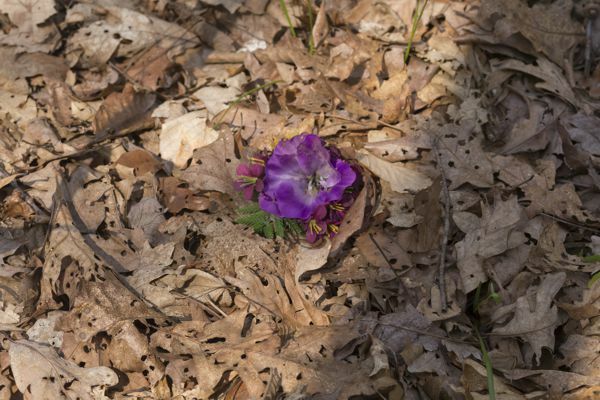 Miller has channeled his physical pain and loss into photographs proclaiming the natural beauty of Summit County’s parks that will be displayed at Summit Artspace on East Market May 5-13. Rehabilitation Beauty will open in the Transition Gallery with a free reception on Friday, May 5, 5-8 p.m. Summit Artspace on East Market is located at 140 E. Market St., Akron. Admission is free. Gallery hours are Thursdays and Fridays, noon to 7 p.m. and Saturdays, noon to 5 pm. The exhibition will be open May 6 from noon to 8 p.m. when Summit Artspace will be open for the Akron Artwalk that night. A 13-year army veteran, Miller injured his knee while serving at Ft. Bliss in Texas. He worked in military health care services. Miller worked hard at rehabbing his knee but the injury finally led to an honorable discharge and, once back in civilian life, his knee deteriorated. “I suffered more than can ever be put into words. I have found a renewed purpose in photography. Within this past year, I have started my rehabilitation over. I started hiking again to strengthen my knee. 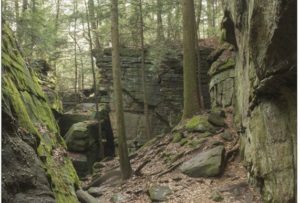 My hikes take me to the Summit County Metro Parks and I carry my camera with me,” Miller said. Miller’s work captures the energy and relentless pull of gravity on water as it spills and conforms to the geography of rock fall and creek bed. His artist’s eye zeroes in on nature’s design of stone formations and the exquisite construction of plants. The viewer sees an appreciation of beauty that Miller has composed with a grateful heart for his regained strength. “I want to show others the beauty I see while I rehab my knee. Many people have gone blind to the world around us. The concrete jungle and the asphalt roads captivate more people each day. My camera gives me a way to show how the metro park is preserving nature from man’s destruction,” Miller explained. Miller will earn a Bachelor of Fine Arts in Photography with a minor in Printmaking from The University of Akron in May. He also has an undergraduate degree from UA in Microbiology and Military History. He has a business as a photographer and has been showing his photos at solo and group exhibitions at the university’s Myers School of Art. The exhibit includes 20 photos in frames that Miller built and finished. He is published author, recipient of the Army Service Medal and active in military veteran organizations.